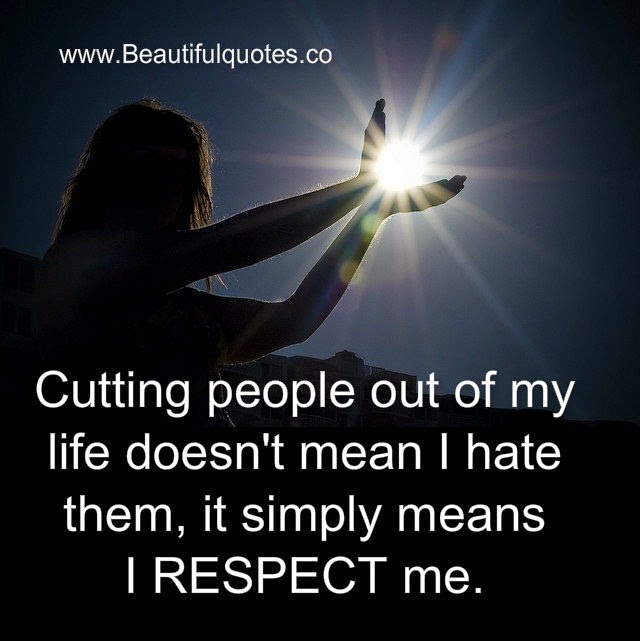 google-site-verification: google8d8438b214143f71.html Beautiful Quotes: I RESPECT me. Cutting people out of my life doesn't mean I hate them, it simply means I RESPECT me. An individual who breaks a law that conscience tells him is unjust, and who willingly accepts the penalty of imprisonment in order to arouse the conscience of the community over its injustice, is in reality expressing the highest respect for the law.~ Martin Luther King, Jr.